R B Henderson and Skid, 3rd team member at 2017 Scottish National. Skid had a great run in the qualifier round at the International taking him through to the final. 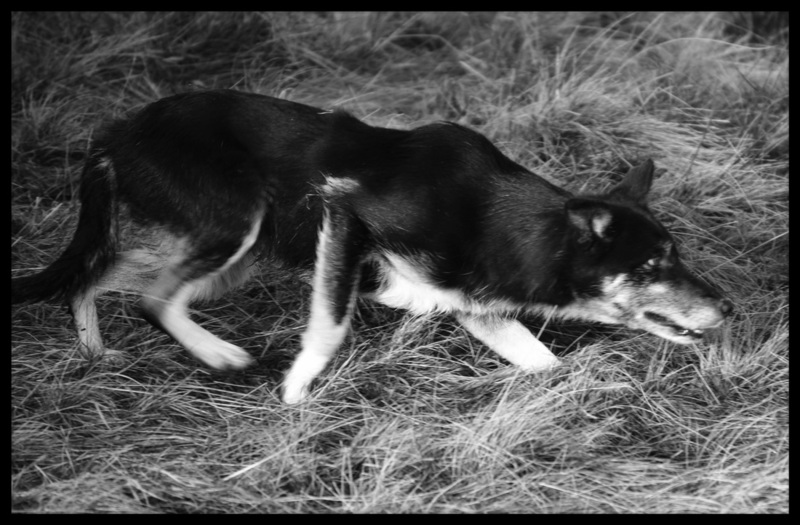 Skid is standing at stud at Carcant farm home of NethhillBordercollies. ​He is a tremendous hill and trial dog. By Bobby's great dog Bill who was by his Supreme International dog Sweep. Julie Hill won the Scottish National Brace Championships with littermates Sid and Molly in August 2017. Sid and Molly were sired by Ban, one half of the well-known and very successful brace team with Mac. Mac and Ban won the International Brace Championship in 2016 and 2013 and the Scottish National in 2012 and 2013. Ban also won the Scottish National Singles Championship in 2014. Sid and Molly won Julie her sixth Scottish Brace Championship (she also won this championship in 1991 and 1992 with Bess and Nell who were also Reserve International Champions in 1992; and in 2005 with Tess and Fly. 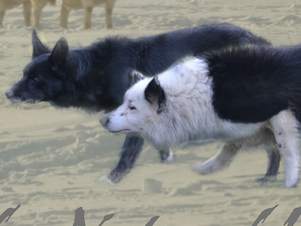 Sid and Molly were home-bred by Julie out of Ban (see above) and Kim (represented Scotland at the World Trial in 2011). Sid and Molly winning the Scottish National Brace title 2017. Trainability to develop and reach a high standard. Strength and power that is needed to cope with all elements of sheep work. They are my main dog team in work and competition. After their Supreme win at the 2016 International Mac and Ban have both been retired from competition. It has been a formidable partnership and they have been a tremendous pair of dogs to work with teaching me so much about how dogs communicate with each other. Ruby in the middle who teams up with Molly. I have been using Wonderdog original for a few years now. Not only do my dog's love it with lots of dry meat mixed through, but it keeps them in tremendous condition. It has improved stamina for long days working on the rough terrain here at Carcant. I have recently introduced 'Winston & Porter's Nourish + C Max Strength Joint Supplement' to some of my ageing working dogs. Just after two weeks I noticed improvement to flexibility and movement in my dogs.